From being a newborn, to being an infant, now your toddler is ready to explore the world! Take note: never leave your kids alone while in the beach or the swimming pool. You should always be at arms length near them. Don’t forget to apply sunblock! Riding in the boat makes my toddler sleepy, he gets to nap a few minutes before we reach the destination. Just put on his swim or life vest for safety. 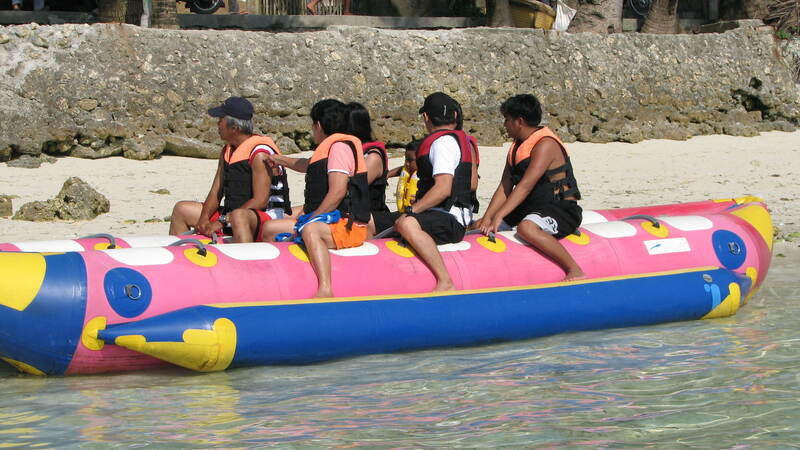 They have a kid friendly banana boat, it consists of two rows and a middle area. The driver of the speed boat pulling the banana boat is cautious when a kid is riding, they wont flip the banana boat upside down. note: it is better to talk to the person in charge of the banana boat ride before letting your toddler ride the banana boat. My 1 year old toddler was not allowed to ride the banana boat, but my nephew was allowed, he is 3 1/2 years old then. Its so serene up there! 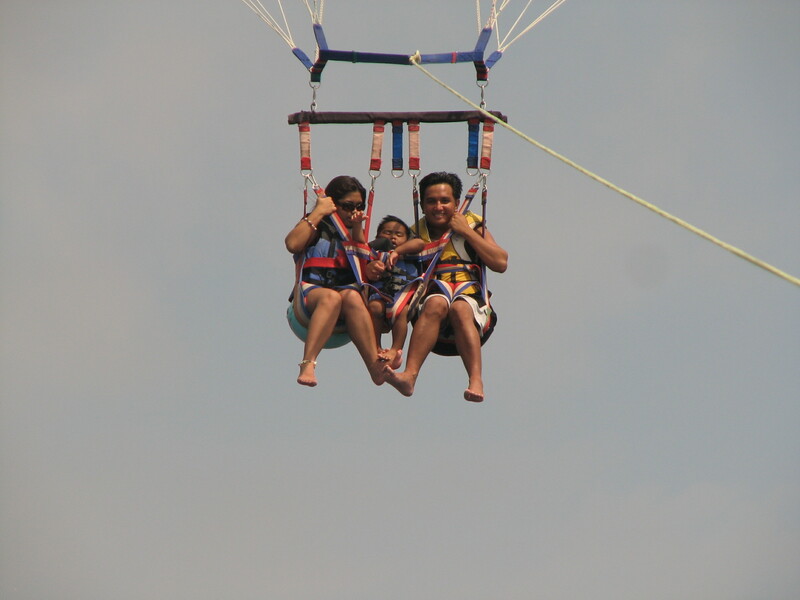 I don’t know the minimum age or height for parasailing, but my nephew was 3 1/2 years old then. Take Note: Talk to the person in charge to know if your toddler is capable of parasailing because some get nauseated up there. You can always make a sign if you want to go down ahead of time. 7. Trek to Mt. 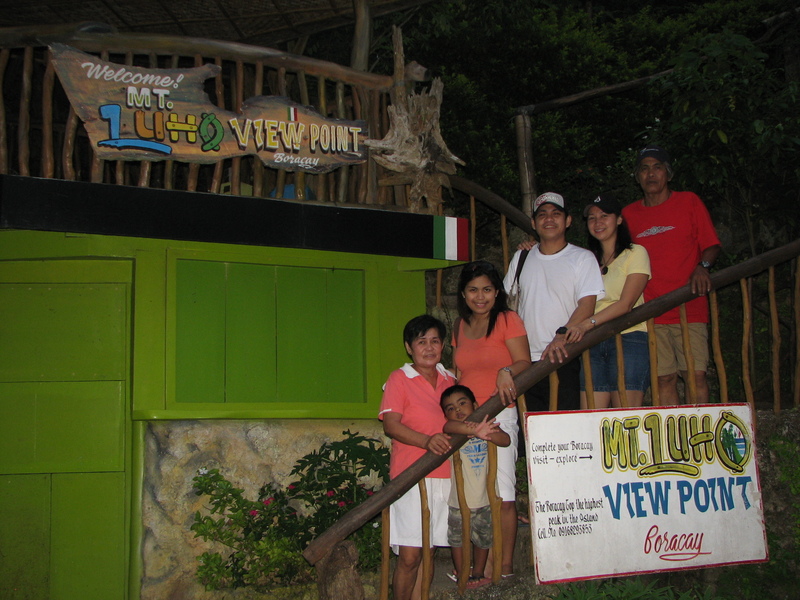 Luho Viewpoint (the highest elevation at Boracay Island). Bring a loose powder or a water to wash off the sand on his hands and feet after playing. I suggest not to expose your tot too much under the sun due to the harmful rays. You can find a shady area where you can enjoy the beach. Don’t forget your sunblock. I have a separate blog for this. Just click here. There you go! Have a lovely fun filled vacation! Cheers to a God-given sparkling & beautiful life! Thanks BoracayStories! 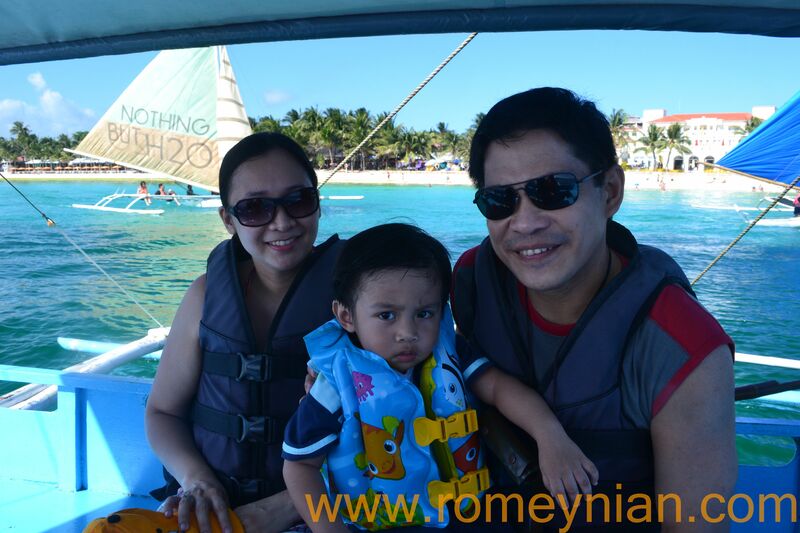 i will bring my son again to Boracay when he’s two years old! hi to your kiddo!